Xiaomi is known for its budget-oriented smartphones. They are one of the most loved and most selling smartphone brands of Nepal. If you are looking for a new smartphone for yourself, you are sure to get a good deal from Xiaomi. 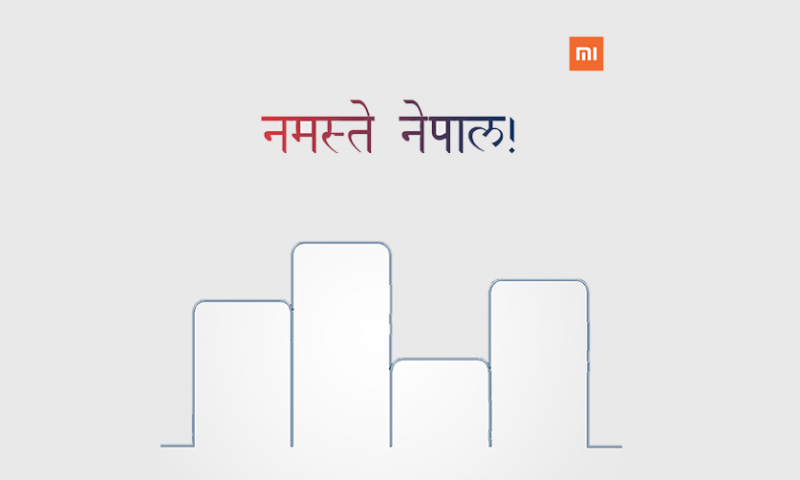 The selection of Xiaomi smartphones in Nepal is already expansive but they want to add more to the list. 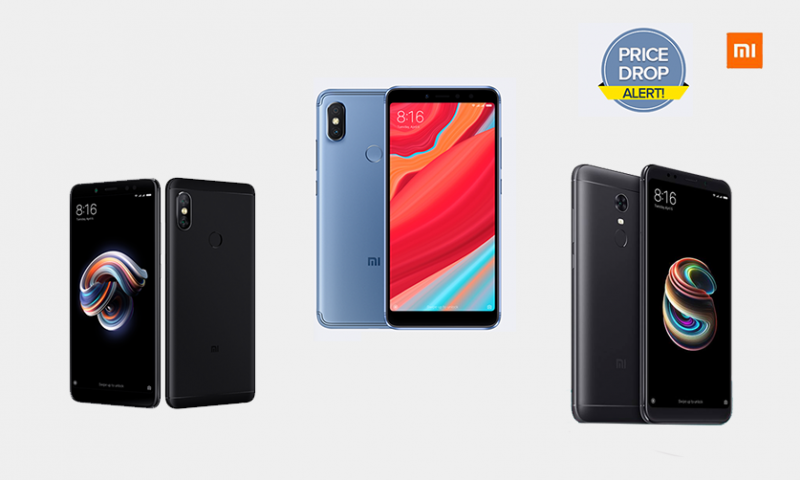 Along with the launch of Mi A2, and Mi A2 Lite, today Xiaomi has launched two new more phones. They are Redmi 6 and Redmi 6A. 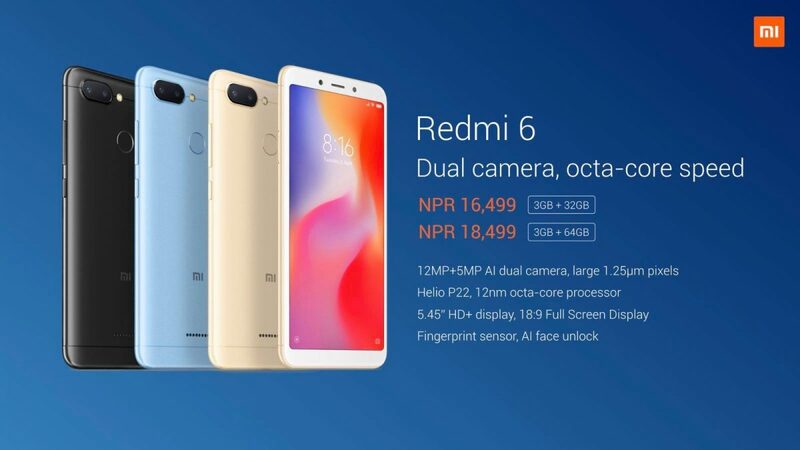 Xiaomi Redmi 6 price in Nepal is set at Rs. 16,499 (32GB) and the Redmi 6A starts at Rs. 12999. Both of these phones offer an amazing price to performance ratio. Redmi 6 sits firmly between the Redmi 6A and the Mi A2 lite in terms of price. Just like the Redmi 6A, it runs MIUI 9.6 on top of Android 8.1 Oreo out-of-the-box. The screen is a 5.45-inch HD+ (720×1440 pixels) panel with an 18:9 aspect ratio. It is powered by the octa-core MediaTek Helio P22 SoC, coupled with 3GBGB of RAM. It comes in 32GB and 64GB storage variants. The 32GB model will cost Rs. 16,499 while the 64GB model will cost Rs. 18499. Redmi 6A is the least expensive phones among the new Redmi phones. It runs MIUI 9.6 (Xiaomi’s custom skin) atop Android 8.1 Oreo out-of-the-box, and sports a 5.45-inch HD+ (720×1440 pixels) panel with an 18:9 aspect ratio. It is powered by the MediaTek Helio A22 SoC on the inside, paired with 2GB of RAM and 16GB inbuilt storage. It will cost you Rs. 12,999. The performance and hardware is typical of phones at this price, but the screen and camera are not. As you can see, typical of Xiaomi, the Redmi 6 and Redmi 6A are a good value for money smartphones. They are built well, they look good, and they perform admirably for the price. 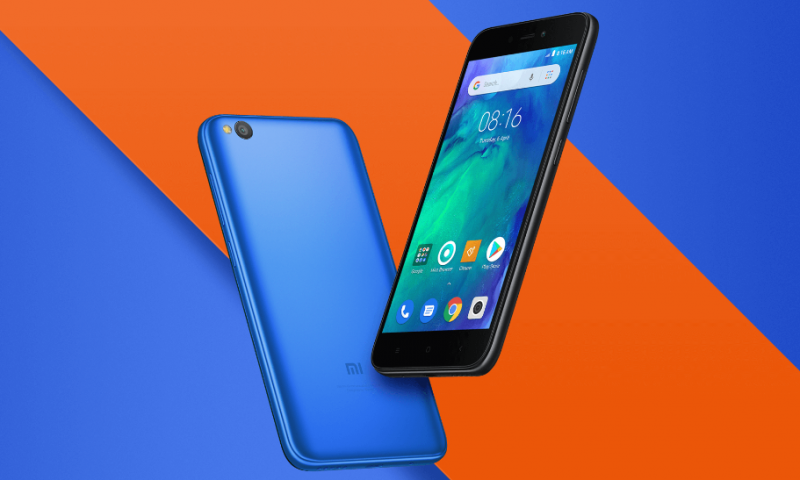 However, if you can afford to spend a little more on your new phone, we suggest you look at the Xiaomi Mi A2 and Xiaomi Mi A2 Lite.